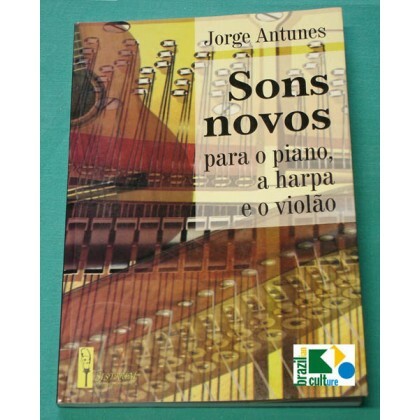 BOOK: "SONS NOVOS - PARA O PIANO, A HARPA E O VIOLÃO" by JORGE ANTUNES - Another beautiful Mega Rare and Ultra Hard to Find Limited independent 2004 Edition by Sistrum, the author's label! This masterpiece teaches how to notate contemporary music, focusing specifically on Piano, Harp and Acoustic Guitar. For instance, How to write on paper the Aleatory music produced for Piano? And the Acoustic guitar: How to determine precisely the kind of glissando desired by the orchestrator? Which symbols are most suitable to communicate it? 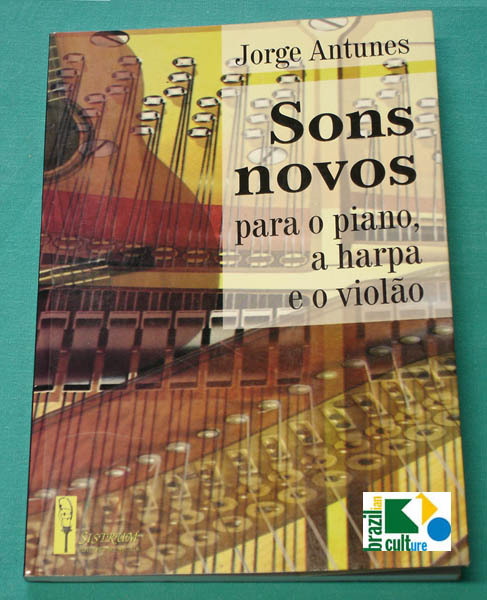 This book helps to understand how to notate Aleatory, Eletronic Music and another kinds of Avant-garde Contemporary Music in a right way! This book is a new copy, on SISTRUM Independent Label. Ultra hard to find! 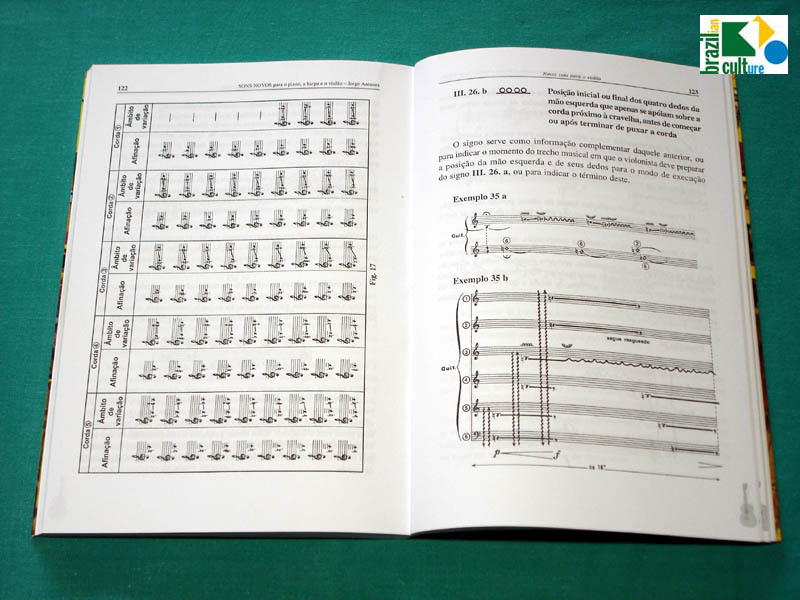 This amazing book explains a lot about Electronic and Aleatory Music Notation for Acoustic Guitar, Harp and Piano.